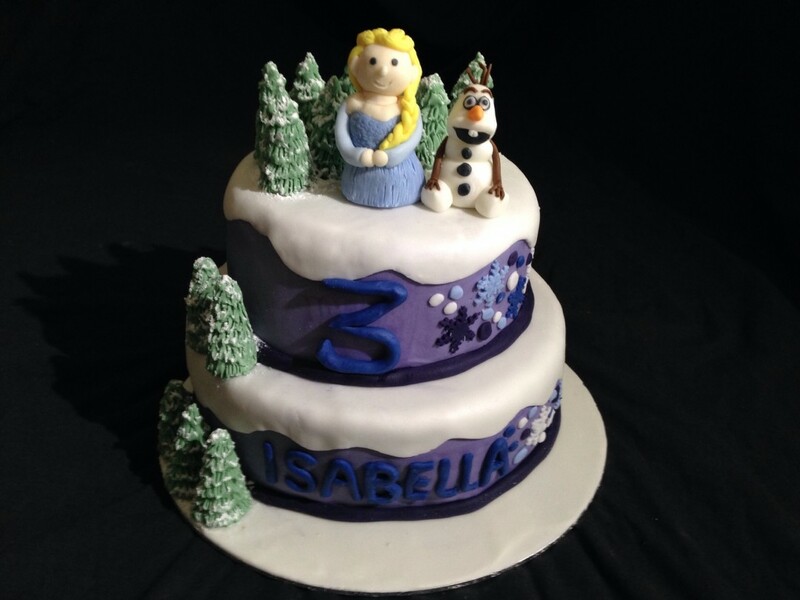 2 tiered frozen cake in the birthday girls favourite colour with ‘snow’ cascading down the edges. The cake is decorated with snowflakes, Elsa, Olaf and tress with snow on them. Everything is handmade by me and 100% edible.